Ladislav Müller, manager for central and southeast Europe at Enterprise Ireland, describes new opportunities that are proving attractive to Irish exporters. From Dublin, it only takes two hours on a packed plane to land in Prague. The city is a popular tourist destination and capital of the Czech Republic, one of the fastest growing economies in Central Europe. As thousands of tourists rushed to the cobbled streets of its old town, Czech Gross Domestic Product increased by 4.5% in the first quarter of 2018. Neighbouring Slovakia has shown 3.6% growth, with Hungary at 4.7%, and Romania at 4.2%. According to EY’S Attractiveness Survey 2017, Central Europe attracted nearly half of Europe’s industrial investment projects in the period. Its strengths are its geographical links, good infrastructure, the quality of its human capital, and its productivity. The provision of EU funds is another key driver, particularly for Romania, Hungary, and the Czech Republic. The Financial Times projected an improved economic picture for the region, based on stronger-than-expected global demand, tighter labour markets, government stimulus measures, and easy financing conditions. Irish exports to the region have also grown for the last ten years, even during the recession. Many Irish exporters are growing sales by supplying large multinational corporations with a base in the region. Ventac, vehicle and industrial noise control specialists from county Wicklow, set up a regional sales office in the Czech Republic, while Waterford’s PPI Adhesive Products, a leading manufacturer of technical adhesive tapes, run their regional sales operations from Slovakia. Portwest, the Mayo-based designer and manufacturer of high-quality workwear, have a CEE sales headquarters in Hungary. But Irish companies are not only targeting large multinational companies. Central European agriculture has experienced remarkable growth over the past number of years, supported by an expanding food industry, domestic investments, and EU farm subsidies. Between 2014 and 2020, CAP and EARDF subsidies will reach €26 billion in Romania, €8.3 billion in Hungary, and €7 billion in the Czech Republic. Spending is driven by pressures on efficiency and food safety, environmental and animal welfare regulations, and requirements for farm machinery upgrade or replacement. In 2017 MooCall, producers of unique calving sensors, were awarded a Gold Medal for innovation at AnimalTech trade fair in the Czech Republic, followed by Dairymaster, who won the Grand Prix at Czech TechAgro 2018 for smart technology for their MooMonitor health and fertility monitoring system. Enterprise Ireland runs a long-term programme called Opportunities in Agriculture in Central and Eastern Europe that helps Irish farming machinery and technology producers to enter local markets. Many Irish companies perceive Central Europe as a source of competitive advantage on the continent. Kingspan, producer of insulation panels, celebrated twenty years for its plant in Hradec Kralove, Czech Republic in May 2018. PM Group, international providers of services in engineering, architecture, project management and construction management opened offices in the Czech Republic and Slovakia in 2010. Grafton Recruitment and CPL Jobs are market leaders in human resources management across the region, while many Irish technology companies set up in Romania to service customers. Central Europe is also one of the fastest growing locations for business process outsourcing (BPO) centres and service companies in Europe. According to Outsourcing Advisors, a third of major outsourcing companies now come from Central and Eastern Europe. Ireland has a very strong offer for BPO operators, who are in turn always seeking solutions that drive efficiencies or offer cost savings. As Brexit uncertainties continue, Central Europe offers significant export market potential, thanks to its closeness to Ireland, strong Irish presence, and concentration of multinationals and local buyers. To support further growth, Minister of State Pat Breen led an Enterprise Ireland trade mission to Warsaw and Prague last June, targeting opportunities across the engineering, electronics, enterprise software, and medical devices sectors. Irish companies signed contracts in excess of €7.5 million during the mission. 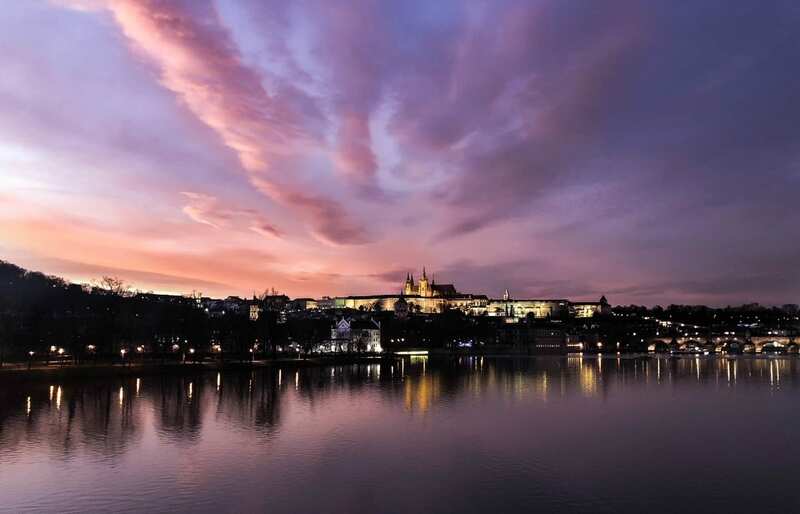 Enterprise Ireland’s office in the Czech Republic is ready to facilitate market research visits, introductions to buyers, and searches for distributors, to help companies we support to win new opportunities in an exciting region. Learn more on how Enterprise Ireland supports businesses to diversify at Markets & Opportunities.